I have been seeing cute little heart garlands on Pinterest lately and decided that my mantle needed one. 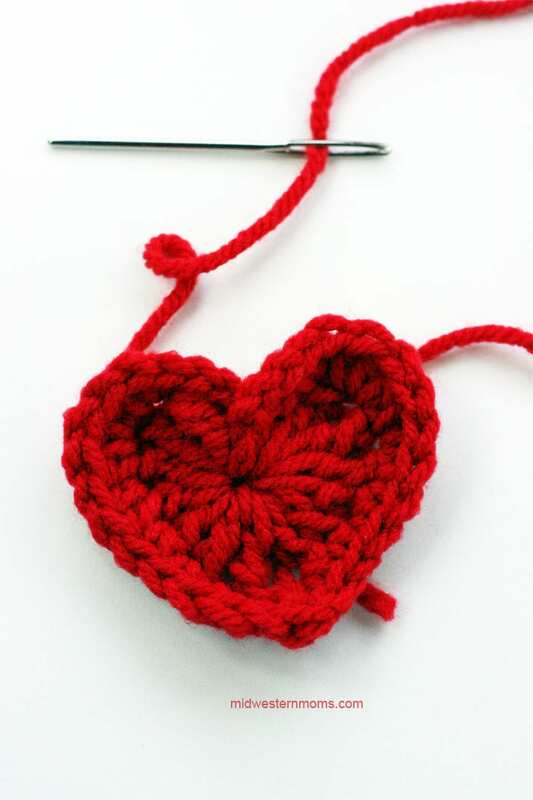 First thing I had to do was learn how to crochet a heart. 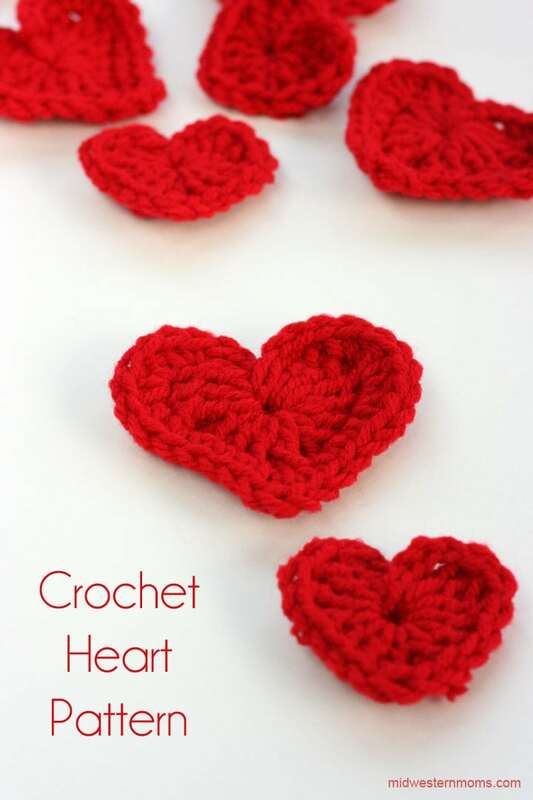 So I went searching to learn how to make crochet hearts. For my heart garland, I decided that it needed two sizes of hearts. 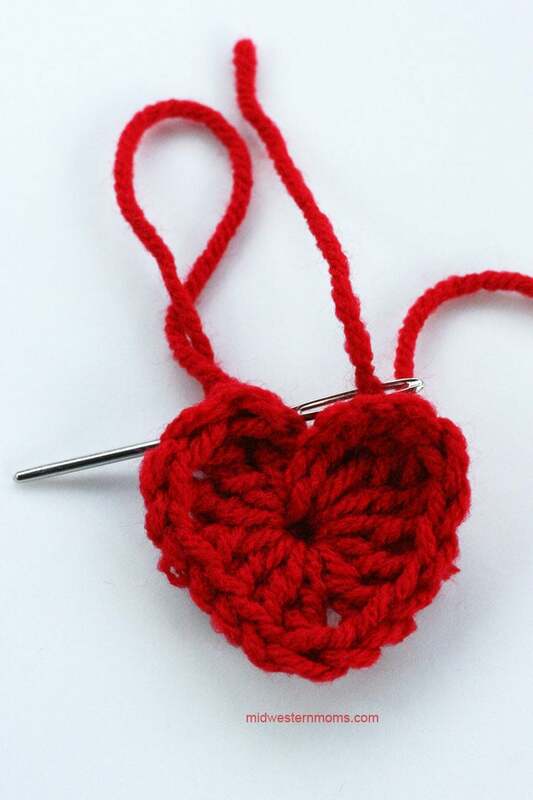 The smallest heart is about 2 inches at the widest part and the larger one is about 3 inches at the widest part. 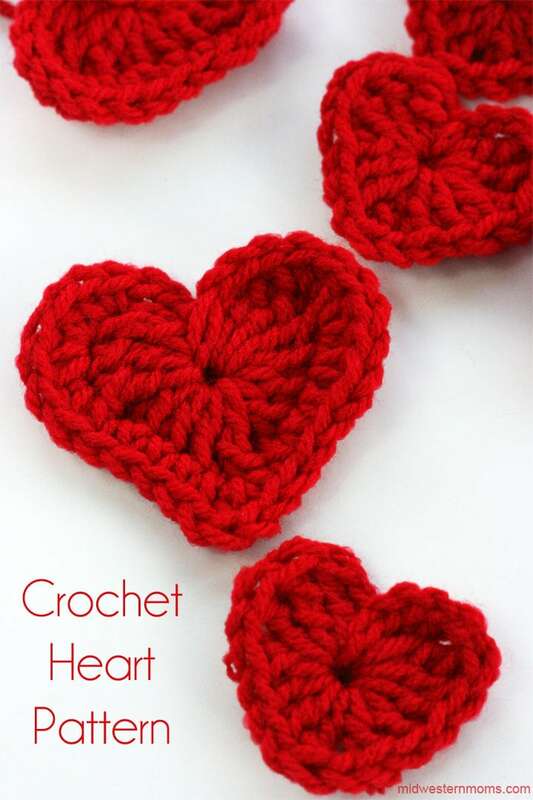 Once you get the hang of crocheting these hearts, you can make them in a matter of minutes. So making a garland hardly takes any time to make. Slip stitch into the center. Cut your yarn, tie off, and weave in your ends. Row 1: In the very first chain – Triple Crochet 3 stitches, Double Crochet 3 stitches, Triple Crochet 1 stitch, Double Crochet 3 stitches, Triple Crochet 3 stitches. 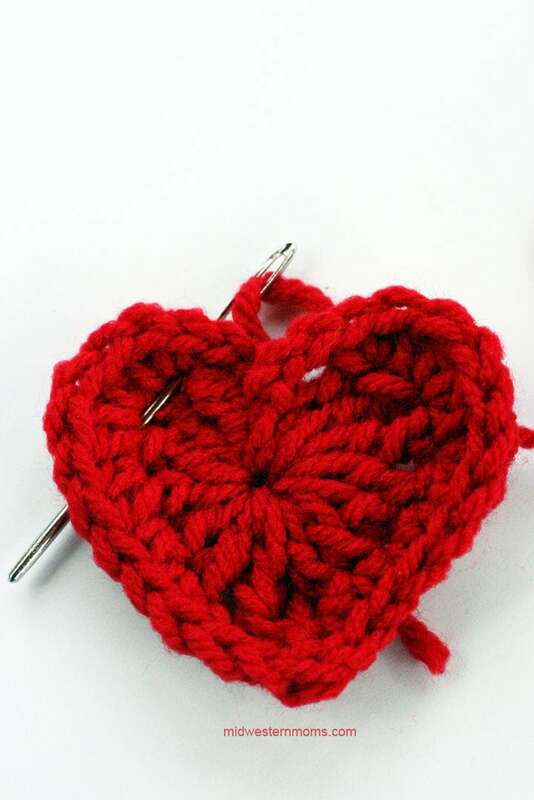 Chain 2 and slip stitch into the center. Row 2: Chain 3. Single Crochet and Half Double Crochet into the top of the first Triple Crochet. Half Double Crochet 3 stitches in the next stitch. Half Double Crochet 2 stitches in the next stitch. Single Crochet into the next 4 stitches. Chain 1. 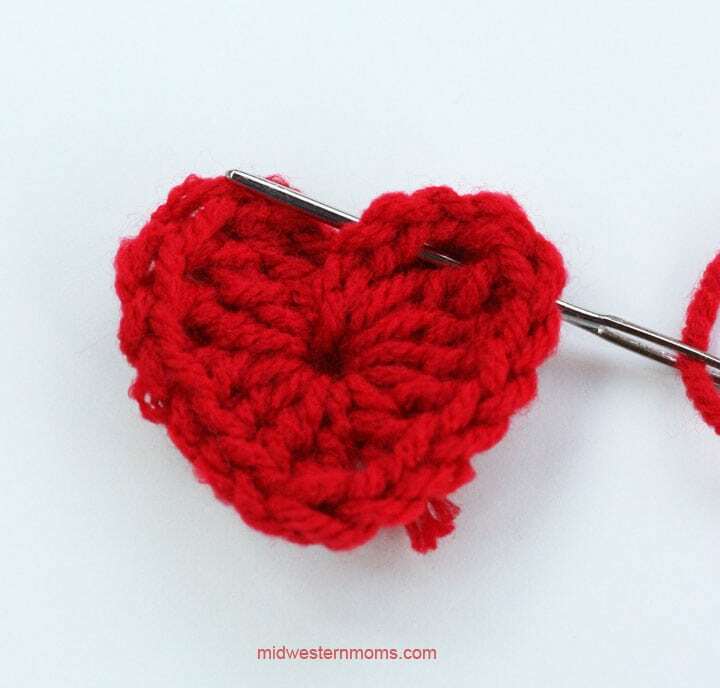 Double Crochet into the top of the triple crochet stitch. Chain 1. Single Crochet into the next 4 stitches. Half Double Crochet 2 stitches in the next stitch. Half Double Crochet 3 stitches in the next stitch. Half Double Crochet and Single Crochet into the next stitch. Chain 3. 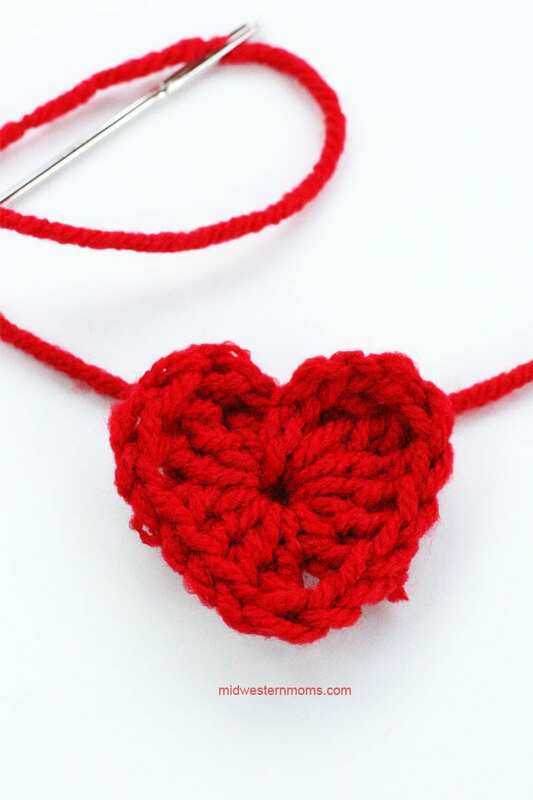 Slip stitch into the center of the heart. Cut your yarn, tie off, and weave in your ends. 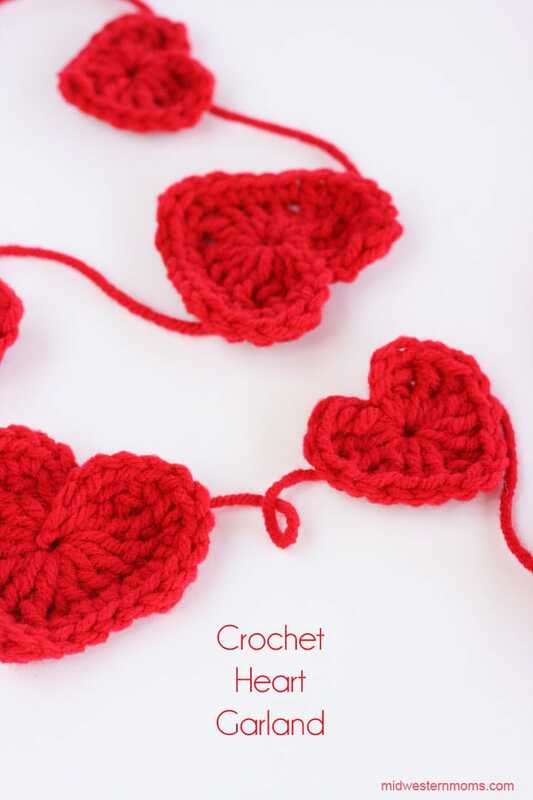 I know the first time I was working on these hearts I thought they were a bit difficult, however, they are quite easy. If you are more of a visual person, I created a video for you to follow along with. You always make it look so easy! I wish you lived near by and gave classes. I wish I lived closer to a few of guys too! I do make videos to help people out who need a visual. It’s the closest thing to a class I can offer. I just hope the videos are good enough. I plan to get a different camera soon so hopefully my videos will get better. Thank you, I need the visuals. I agree with Mary! I wish you lived closer! Although, I’m not sure you could help me even then. I may be a lost cause when it comes to sewing, knitting, crocheting… This garland looks beautiful though! I wish I decorated more for Valentine’s Day. I go so all out for Christmas that the other holidays get sort of ignored in our house. Oh, I want this garland!!! 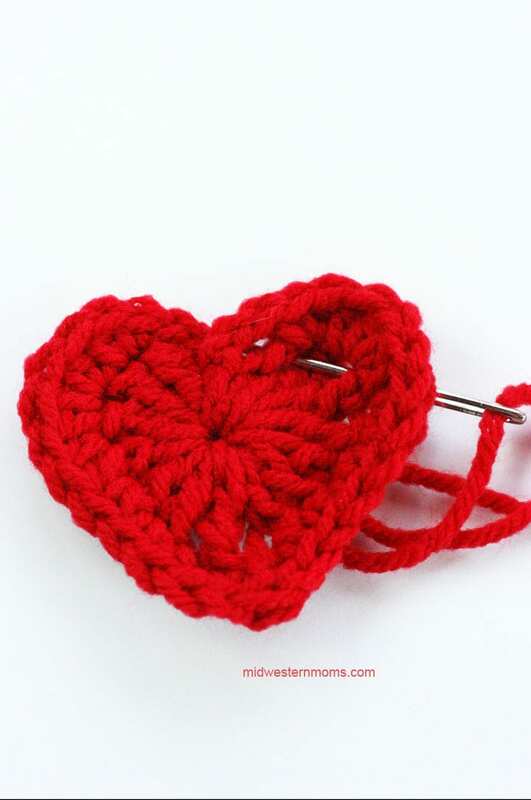 I wish I knew how to crochet. My mother-in-law does. Do you have an online shop? Totally sharing this! I do have an etsy shop – https://www.etsy.com/shop/DevonCDesigns I don’t have the garland listed but if you are interested in one just send me an email and we can iron out the details. Thanks for stopping by! I love the little hearts, they are absolutely adorable! I really wish I could knit or crochet. I tried to knit once and it didn’t go so well 🙂 I really need to have someone show me how in person. The crochet gene passed me by. These are so cute and I could see making them a little larger and using them for coasters. My great grandmother taught me to crochet a looooong time ago and i think i made a huge chain. never quite got the hang of it. Thanks for the video – it always helps a beginner like me to see it. Very lovely pattern and finished product! Are you on Ravelry? I would love to credit you with my projects there. I did copy your link to my notes but if your pattern is there I will link directly to it. Thanks so much! Thank you! I am not on Ravelry. Should I hop over there and sign up? I have been thinking about it. Thanks!! So cute, and nice job on that video. So easy to learn that way. This was much easier than other heart patterns I’ve tried. Thank you! I AM VERY NEW TO CROCHET. I KNOW ONLY BASIC STITCHES MINUS ABBREVIATIONS. BUT YOUR INSTRUCTIONS FOR SMALL HEART IS VERY CLEAR. I GOT THROUGH IT. BUT VIDEO CLIP IS MISSING. I am sorry that the video didn’t load for you. I double checked and it is in the post. Thanks! Genius!! This worked so great. Thank you exactly what I needed as a little add on for some pocket prayer patches I’m making for soldiers. I am so glad I was able to help!! What a great idea! I went one step further and created a heart a wee bit larger than your “large”! Now I have a collection of small, medium and large hearts that I’m stringing together!